12 Sep LinkedIn Conversion Tracking + Legal Marketing: Does It Compute? LinkedIn Conversion Tracking Is Here. Does It Make Sense For Legal Marketing? Most attorneys know what LinkedIn is, considering there are over 130 million members in the US alone. Most attorneys also have a LinkedIn profile, but have generally ignored LinkedIn in their legal marketing efforts (with the notable exception of some B2B law firms). Advertising on LinkedIn has generally been a weird confluence of two contrasts: incredible audience targeting capabilities, combined with no conversion tracking or remarketing ability. The end result of this combination has generally been a high cost-per-lead when compared to other social media, in large part because there was no good way to measure how your LinkedIn ads were actually performing – until now. LinkedIn recently rolled out native conversion tracking for sponsored updates and text ads, removing one of the biggest hurdles to cost-effective legal marketing on LinkedIn. Wondering what a conversion is, why it matters, and whether or not your law firm should be marketing on LinkedIn? We’re glad you asked! Conversion tracking is functionality that allows law firms to measure an ad’s performance against any number of substantive metrics. In the world of legal digital marketing, those metrics might include page views, filling out a contact form, or downloading a white paper. And, prior to the recent addition of LinkedIn conversion tracking, the best a law firm could do with LinkedIn ads was to use landing pages or set up campaign variables in their Google Analytics to track direct conversions. It was clunky, time-consuming, and pretty inaccurate – because it could only track direct responses (e.g. someone clicks on the LinkedIn ad, and then immediately fills out a form). 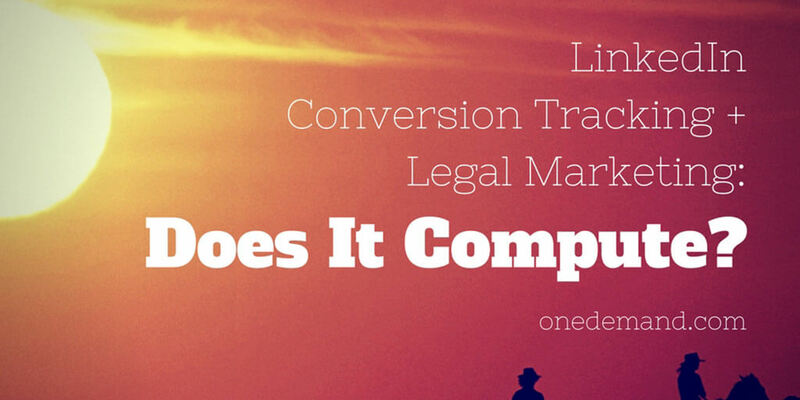 Why Does Conversion Tracking Matter In Legal Marketing? Conversion tracking only matters to law firms who don’t like wasting their marketing dollars! If you don’t know where your law firm’s client leads are coming from, you won’t know where you should be advertising – or how much you should be spending in each channel. Prior to the release of LinkedIn conversion tracking, LinkedIn could only tell you how many people saw your ad, and how many people clicked on it. And, from a legal marketing standpoint, those metrics are largely useless. Attorneys are an easy bunch to understand: They aren’t going to care that 30,000 people viewed their LinkedIn ad, if none of them converted into a client lead. Even where you had configured landing pages or campaign variables in your Google Analytics, there was just no way to track latent conversions from LinkedIn ads – e.g. people who filled out the form on your website days after seeing your LinkedIn ad (so-called “view-through” conversions), or hit your contact page days after clicking on your LinkedIn ad (so called “post-click” conversions). And, these sort of latent conversions are a prominent and unique feature of social media marketing. The new LinkedIn conversion tracking not only will allow attorneys to natively track direct conversions, but it also tracks latent conversions – and even breaks out “view-through” and “post-click” conversions separately (using a 30-day look back window). How Do I Use LinkedIn Conversion Tracking? 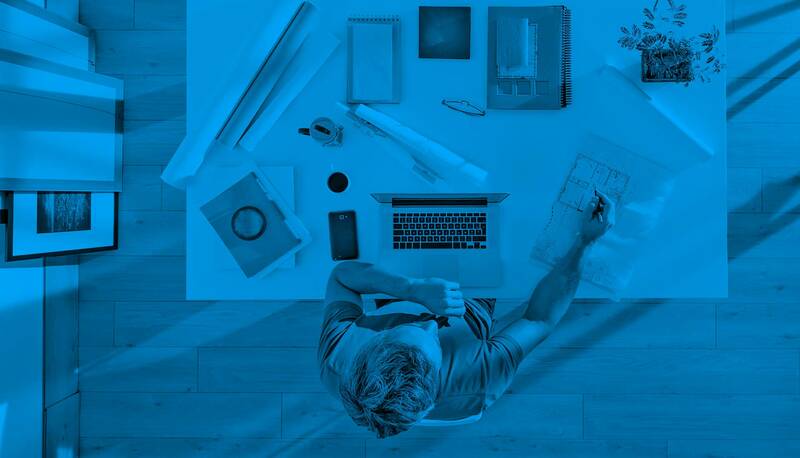 Once the tracking code is in place, LinkedIn gives solid instructions for how to configure your conversion goals, and then for how to apply those goals to your specific LinkedIn ad campaigns. So, Should Attorneys Use LinkedIn Conversion Tracking? For law firms already using LinkedIn advertising as part of their legal marketing, the answer is a resounding “yes”. If you’re already spending money on LinkedIn, you might as well start using conversion data to optimize and fine-tune your legal marketing spend. The bigger question, however, is whether those law firms who have avoided LinkedIn in their legal marketing efforts should now reconsider. And, the answer here is a solid “maybe”. The new ability to track conversions in LinkedIn (finally) allows law firms to determine the ROI on their LinkedIn advertising campaigns, so they won’t be flying blind as before. So, I’d suggest law firms at least consider testing some LinkedIn ad campaigns to see if the ROI makes sense for them. That said, keep in mind LinkedIn is still primarily a B2B platform – and it still lacks the ability to remarket. By adding conversion tracking to its already-stunning ability to target audiences (by job title, location, company, etc. ), LinkedIn advertising is likely to make sense for an increasing number of B2B law firms. But, without remarketing capabilities, I doubt LinkedIn advertising pencils out at all for B2C attorneys (and will remain like shooting arrows in the dark). If you have more questions on how your law firm can use LinkedIn to generate client leads, we’re only a call or click away. As a digital marketing agency for lawyers, we know how to build impressive attorney websites, and we know how to use search and social channels to get attorneys more client leads.